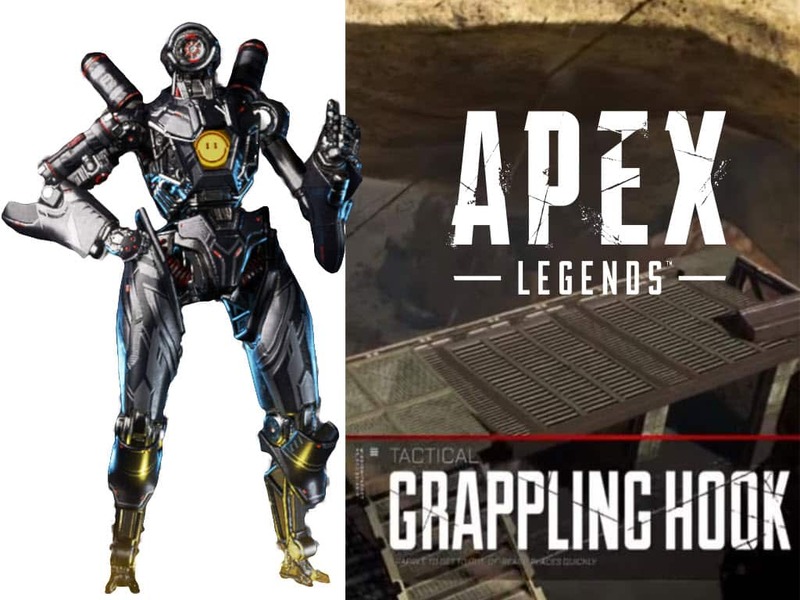 Understanding exactly how to use Apex Legends Pathfinder Grapple Ability to take high ground and corner swings. Apex Legends, like every hero based game, has its own stars in the makings. At first, players did not seem to like Pathfinder primarily because his abilities were deemed as weak. However since the start of season 1, Pathfinder has become a highly trending legend. Now that Pathfinder is one of the most used Legends in the game, understanding how to properly use his Grapple ability or Grappling hook can be a total game changer. Before looking into how to perfect his ability lets take a look at his background story. Pathfinder is the most optimistic of the legends. He is actually an MRVN (Mobile Robotic Versatile eNtity) made for location scouting and searching, he woke up sometime later in an empty laboratory with no idea who created him or why. With only his MRVN number as his identity, Pathfinder continues to try and find his creator. He is considered a mellow hero who shies away from violence when given the opportunity. 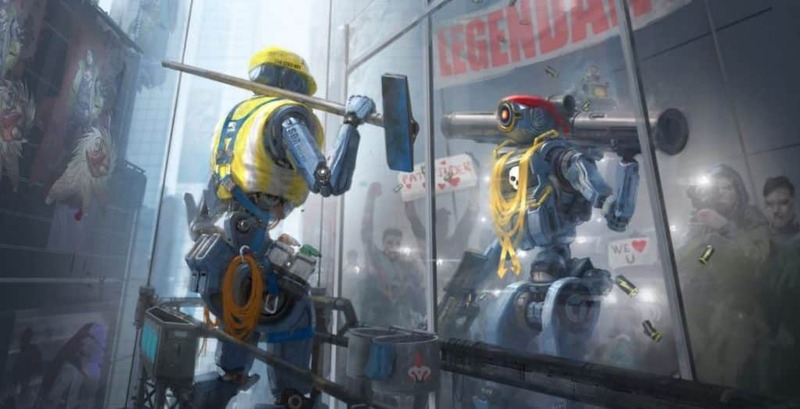 However, when introduced into the Apex Legends arena, he has now shifted his abilities to help others. The Grapple is born. 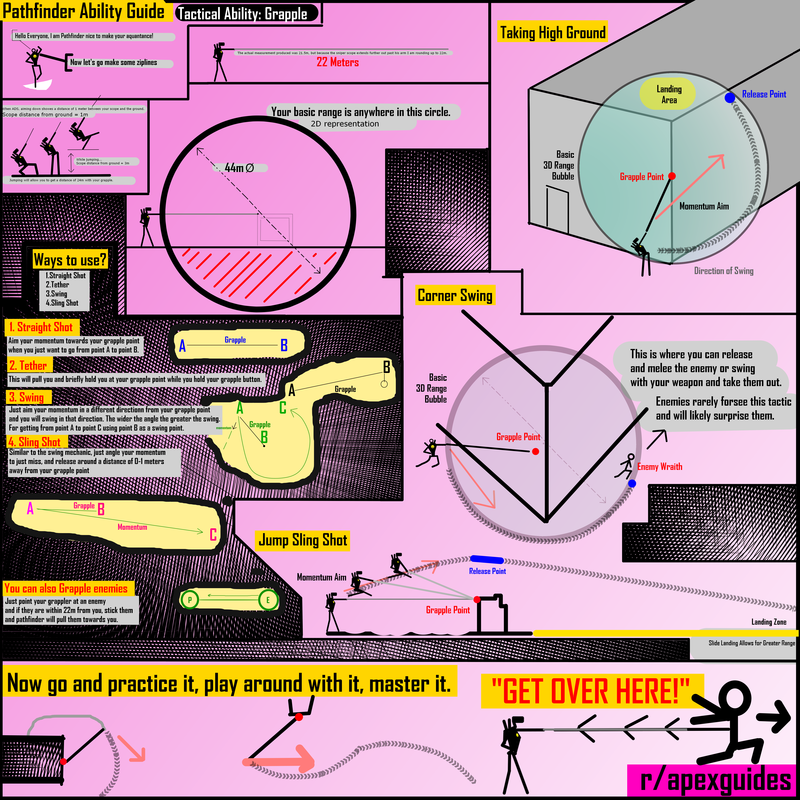 Although Pathfinders grapple ability seems simple when you first see it, there are ways to master it. The 4 main uses of the grapple hook are as follows: Straight shot, tethers, swing, sling shot. 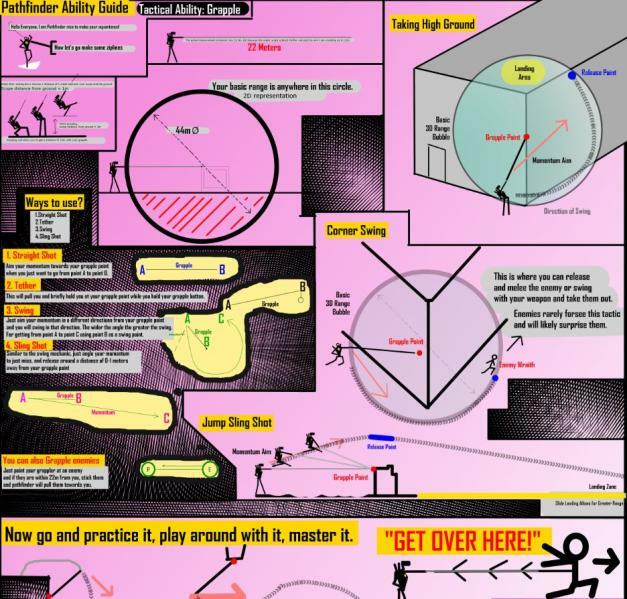 As the infograph shows, there are many different ways to use his grappling hook ability. Although it requires a little bit of practice understanding its fundamentals will help speed up a player’s learning curve. Pathfinder is a great Legend once he can be used correctly.